Posted in General and tagged green point, people, roads on Tuesday, 6 March, 2012 by Paul. 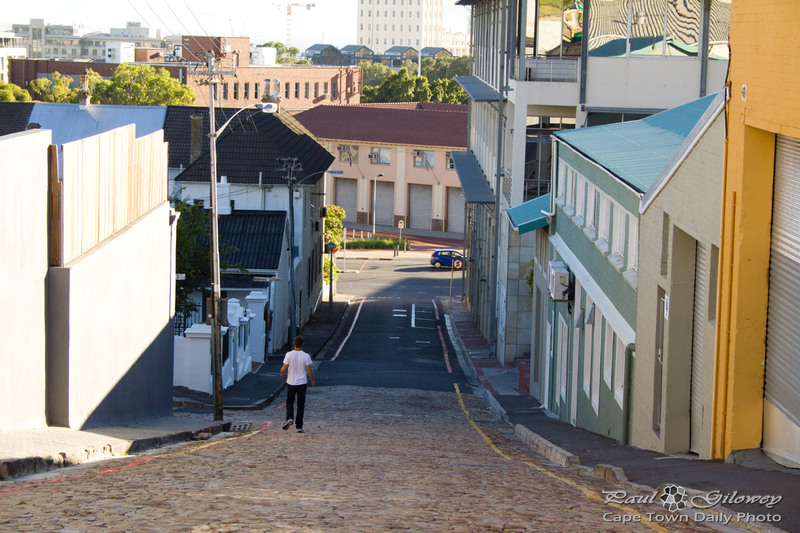 Went to find a geocache in the bokaap, but walked up the streets. I’ve never driven there before … a bit scared that I might drive up one of these roads and not able to keep the momentum of the car going, not to mention having to pull off from such an incline (with a manual gearbox vehicle).